Surgery went very well. The hardest part this time was "Christian" coming out of the anesthesia. He was extremely agitated and would not stop crying. Finally, after some more pain meds and Benadryl, things calmed down and we made it out of recovery. I think the hardest thing about the hospital is entertaining your child:) We are so grateful that the University of New Mexico has such a wonderful Child Life program. They are just fantastic! A second IV did need to be started on Saturday because the first one became painful when infusing. My Christian is horribly afraid of needles and starting IV's are never an easy task. He did do a great job. Now we wait to see if we get to go home on Monday or not. The HTC does not want a new port to be accessed until a week following surgery, so we would have to go home with an IV. His veins are pretty torn up from previous sticks, so depending on a peripheral stick in the case of a blown IV is slim. We may have to stay the week...we'll just have to see. He must have his factor on a regular post-op schedule, so we may not have a choice of going home just yet. I'll admit, I've been pretty upset and wondering "why" my sweet son has to deal with hemophilia and his crazy inhibitor. But then, reality hit me upside the head. The same day we had to endure a second IV, a child on our floor passed away from a long illness. Whatever I have to help my son deal with is just fine. I'm just so incredibly fortunate to have him in my life, hemophilia and all. My day with "Christian" looked like this….. When the hematologist left the room, I mixed factor to infuse before we headed home….the port would not work. Between me and the hematologist, we attempted to access the port at least 8 times. No luck. The screaming was from deep down….Christian has an intense fear of needles. A boy with hemophilia that has a fear of needles is not an easy situation. I had to help hold him while the doctor was manipulating the port and every time I held time down, a piece of my heart broke. The shuddering took over his entire body...the tears flowing like a river. His cheeks were bright red, and there was nothing I could do to take away the pain. The x-ray showed the port at a severe angle and we thought we had it figured out. An IV was started, because we had to get factor in Christian. He has a high titer inhibitor and needed to be infused. 3:15 pm the decision was made to replace the port. (This is Christian's third port). We were allowed to leave the hospital, drive back home (2 hours), packed our bag, took the dog to the dog sitter, went by the church to get a couple of things and fold bulletins for Sunday morning (because hubby is out of town) and then me, Christian and Lance hit the road back to Albuquerque (another 2 hours). 9:20 pm arrived at hospital and waited for room to get ready. While waiting, I mixed factor to infuse, and the IV blew. 9:50 pm our room was ready, my husband walked in, we were all together and a specialty nurse came up to our floor to start a new IV (two sticks). Now I am listening to the beep of monitors, looking out an all too familiar window, while smelling "hospital." I am comforted by the familiar faces of the nursing staff, and even the workers in the café downstairs that have become friendly to me in the wee hours of the morning. I am thankful for the familiarity, the comfort in knowing my child is in great hands, but I have yet to truly "feel" the events of the day. I am little scared to let myself completely give in to what happened today. We traveled to the Inhibitor Summit last week in San Francisco. It was probably one of the most stressful trips we have ever been on. "Christian" was having a slight soft tissue bleed in his hand as we were leaving town, our treatment center was not being very helpful, and when we called Friday evening, the doctor on call told my husband, "looks like you all made some bad choices." You don't tell that to a family living with a chronic condition, especially during an active bleed while out of town! I took Christian to the ER in San Francisco and 7 hours later was told we were doing the right things. Sunday morning, at breakfast on the bay, we received a call from our dog sitter that my sweet Sheltie, Rosie, died. Could this trip get any better? Monday was filled with phone calls to the treatment center for detailed information so that we would file our grievance with the doctor who was out of line and we also made calls to the Denver treatment center for a second opinion. A very stressful Monday, but what I have learned out of this summit was to not be complacent in the treatment of my Christian's hemophilia (with an inhibitor). I need a hematologist who knows what they are doing in the area of inhibitors. Being "monitored" by a group of doctors who do not necessarily specialize in inhibitors is not good enough. I will be the biggest advocate possible for my son. I don't care what it takes, I will speak up for him and my family and refuse to be treated badly. This doctor will not forget us, because I will make sure he knows that unless he lives with a severe, chronic bleeding disorder, he can never understand how we feel. He can never understand the decisions we make, but he will know that we make the decisions for our child and family that best benefit us as a unified group. We know what is best as parents. I received this email and wanted to pass it along. If you have personally experienced a joint bleed, this group is looking for you. It sounds like a worthwhile project. 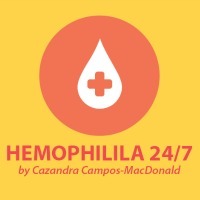 I am interested in understanding more about the experiences of hemophilia. My company is currently doing research on the sensations of joint bleeds and the experiences that patients go through. We are currently developing a simulator for one of the major pharmaceutical companies in the United States. We want to help doctors better understand what their patients experience, not just what they read in textbooks. I'd be interested to know more from the source. If you are interested or anyone you might know, please contact me via email abond@gwfassociates.com; we are located in NJ. Thanks for blogging as well, it brings the disease closer to home and helps people like myself who are not closely familiar have a better understanding. Permit me to introduce you to GWF Associates LLC, a multimedia education company that has been in engaged in teaching physicians and other healthcare providers since 1974. We have developed programs for diverse Medical Society Congresses that have been shown in 23 countries and translated into 13 languages. Our current project is to help physicians better understand the challenges to their patients with Hemophilia and we are developing a “virtual experience” in which physicians briefly “become” a patient with Hemophilia. This educational experience includes simulation of the sensation experienced during a joint bleed. We are inviting you to participate in a brief discussion about challenges faced by hemophilia patients, with emphasis on the sensations that occur during a joint bleed. It will take less than an hour and you will receive a stipend of $150.00 plus any travel expenses to our Tinton Falls office. Importantly, you will be helping doctors to better understand the challenges to daily life that individuals with hemophilia encounter. Experiential learning takes physicians beyond what they read in a text book to actually “feel” the restriction imposed by their condition. We started our journey with Rituximab (an immunosuppresant) in the hopes of eradicating Christian's inhibitor, back in the fall of 2009. I just received a letter from the insurance company stating that our treatment (Rituximab) in January of 2011 has been denied. The last two "July 4th's", my "Christian has been in the hospital getting a new port. He is on his third, so far so good. While there on the 4th, we have watched the fireworks from his hospital window...a fantastic show in Albuquerque. We were so glad that this year we would actually be home to watch fireworks! Saturday morning my husband, out loud, made the comment about not being in the hospital on the 4th. Less than an hour later, our hematologist called and said that Christian's port culture from Monday (he went in for an MRI) grew positive! Thankfully we did not have to go in, because he is not showing symptoms of fever or any kind of side effects from an infection. She thinks it may just be a topical contaminant kind of thing. We went on Saturday to the local hospital to do another culture, so we wait. You just never know when something is going to come up. You have to be prepared for anything when you have a child with a bleeding disorder. Automatically the plans you had start to change and your mind begins to race. 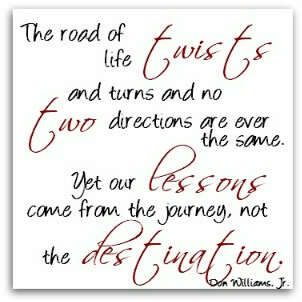 Sometimes, you have to change and go along with what needs to be done. Other times you may luck out and not have to race to the hospital or clinic. You have to have a little humor throughout this process. Not that a bleeding disorder is something to joke about, but as a parent we have to learn to handle situations with grace, calmness, a positive attitude, and know that our children are always watching how we react.